The possible sale is an effort to smooth out any wrinkles with the Federal Trade Commission over the proposed merger with Sansum Clinic. In a move that will push the South Coast’s biggest health care merger back by six months or more, Cottage Health System is looking to sell its Santa Barbara Outpatient Surgery Center operations. 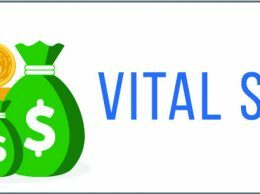 A deal to bring both non-profit healthcare providers together has been in the works for almost two years and Cottage has been negotiating with the Bureau of Competition at the FTC for the last 18 months. The FTC has questioned at length the merger of the only in-patient hospital on the South Coast with the largest physician practice in the region. Cottage has enlisted investment banking firm Cain Investments to sell the operation. Cottage would likely retain ownership of the Pueblo Street facility that houses the outpatient surgery suites, Werft said. Once a buyer is identified, the sale would be contingent on the Sansum-Cottage merger being closed. The sale of the centers and closing of the Sansum-Cottage merger would likely happen in a fairly quick sequence, Werft said. 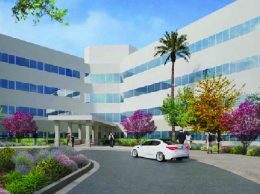 Sansum operates its own outpatient surgery centers, including a suite at its new facility on Foothill Road, said Kurt Ransohoff, CEO of Sansum. He likened the sale of the outpatient suites to an airline selling gates at a large airport to allow for more competition. Ironically, the Sansum-Cottage merger is designed to produce an integrated health care system which is one of the stated goals of the Affordable Care Act. “The FTC knows the landscape,” said Werft. “They want the same level of competition or more” in outpatient surgery after the merger closes.